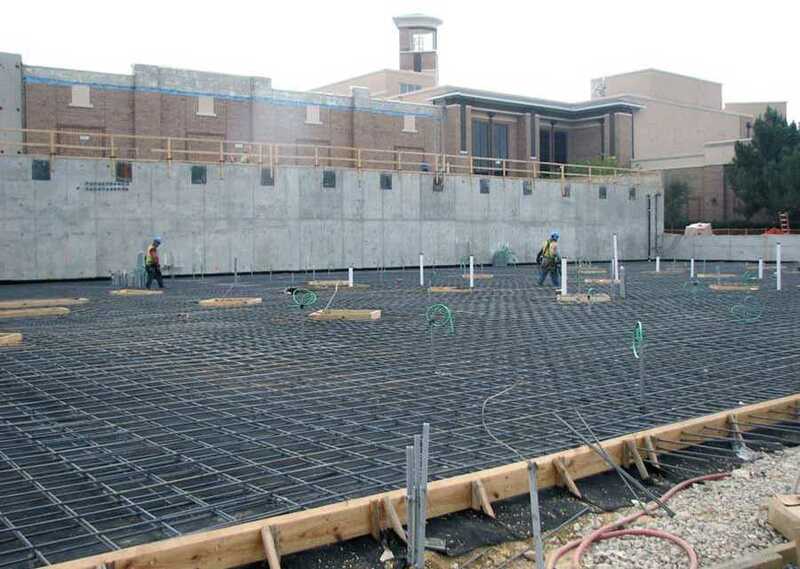 The use of underslab vapor retarders/barriers has long been regarded as an effective, economical way to control moisture migration through concrete. 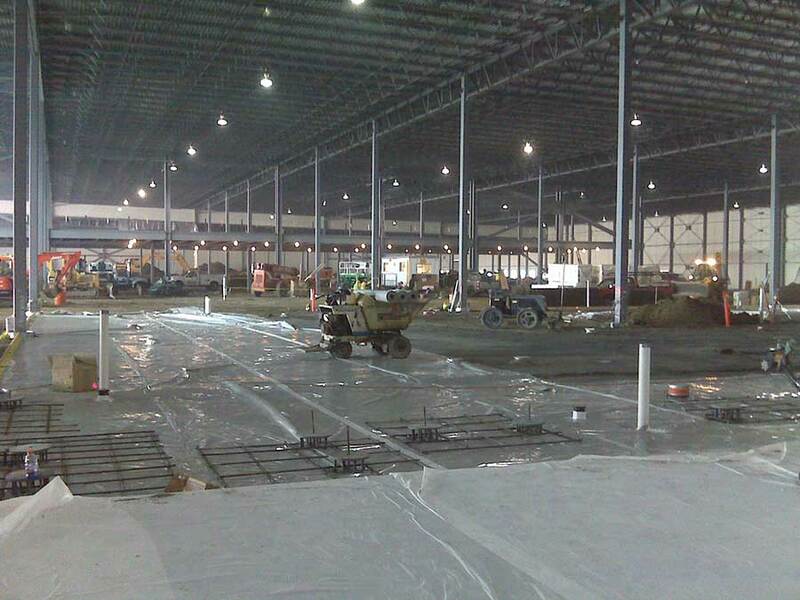 The proper installation of an effective vapor retarder/barrier beneath the concrete has been proven to reduce or eliminate issues that arise when moisture migrates into interior spaces, including the adverse effects such moisture has on floor covering and coating systems, as well as compromised indoor air quality due to the development of fungus, mildew and mold. The problem is that the rated vapor permeance sometimes fails to match field performance due to membranes getting punctured during installation. 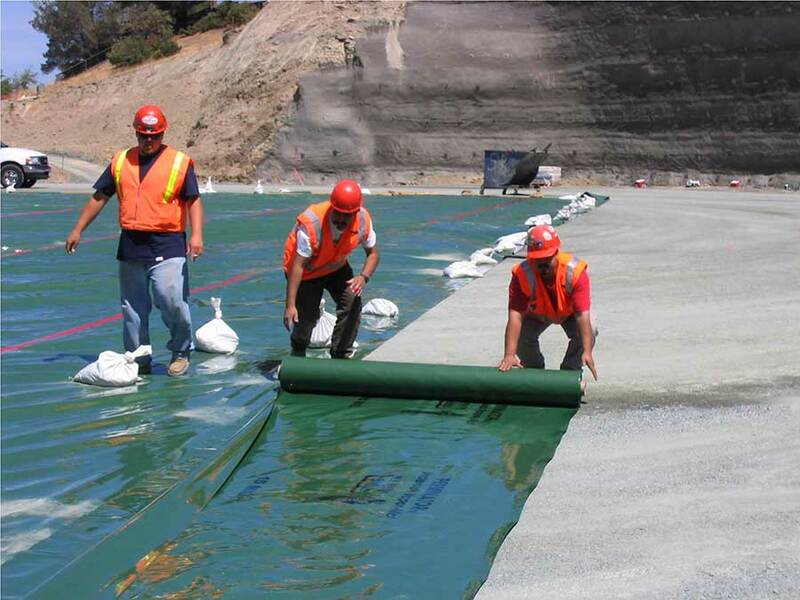 In the 1950s, W.R. Meadows pioneered a seven-ply, semi-flexible vaporproofing/waterproofing membrane still in use today. With two layers of asphalt-impregnated felt and a fiberglass-reinforcing mesh, it’s still popular for a puncture-resistant liner. Underslab vapor barriers are needed to control radon, indoor humidity, and ensure floor coverings perform as designed. However, they must be installed correctly and without punctures to perform as designed. 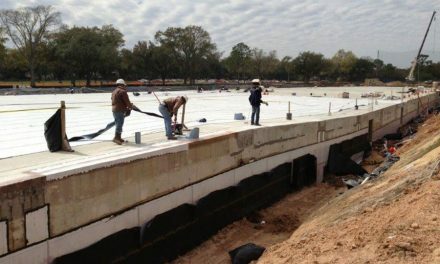 While low permeability, high strength and durability are all important considerations in choosing an underslab vapor retarder/barrier, there is some speculation about which of these performance characteristics is most important. This paper explores the industry standards governing underslab vapor retarder/barrier performance and identifies critical product characteristics that should be considered when determining what level of underslab vapor protection to specify for a particular application. Let’s first look at the terms used in the industry. Is it a vapor retarder or is it a vapor barrier? This is a difficult question to answer as these terms are used interchangeably in the construction industry. 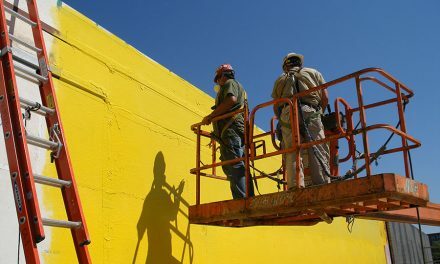 For example, within ASTM E-1745: Standard Specification for Plastic Water Vapor Retarders Used in Contact with Soil or Granular Fill under Concrete Slabs, a vapor barrier is defined as “a material or construction that impedes the transmission of water vapor under specified conditions.” It does not define the term vapor barrier. ACI approaches this a little differently: ACI 302.1R: Guide for Concrete Floor and Slab Construction states “A number of vapor retarder materials have been incorrectly referred to and used by designers as vapor barriers. True vapor barriers are products that have a permeance (water-vapor transmission rating) of 0.00 perms when tested in accordance with ASTM E-96”. Sources of Vapor Retarder/Barrier Leaks Punctures caused by: Finishers poking holes in the vapor barrier to hasten slab drying time. (Placing concrete directly on the vapor barrier instead of a more absorptive base may increase curing time.) Accidental punctures caused by workers placing edge forms and rebar supports. Equipment and foot traffic before or during the pour which can rip the material or cause underlying aggregates to puncture them. Openings: Unsealed edges along laps or unsealed penetrations. Floor-wall joints (The barrier should be pulled up at sides and sealed to the footing or foundation wall). 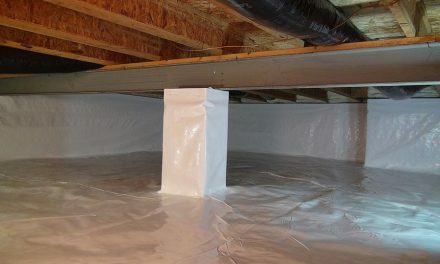 The same ACI committee has made a recommendation that “if it is determined that a vapor retarder meeting the ASTM E-1745 for vapor permeance requirements is not sufficient to protect the flooring material to be installed, then a vapor barrier with a perm rating of .01 or less should be specified.” While this statement implies that a material with a 0.01 or less perm rating may be considered a vapor barrier, it does not define a vapor barrier to be a product that has a permeance of less than 0.01 perms. With these differing definitions, no wonder the waterproofing industry is sometimes confused. Class I vapor retarder (0.1 perm or less). Class II vapor retarder (1.0 perm or less and greater than 0.1 perm). Anything above 10 perms is defined as a vapor permeable membrane. 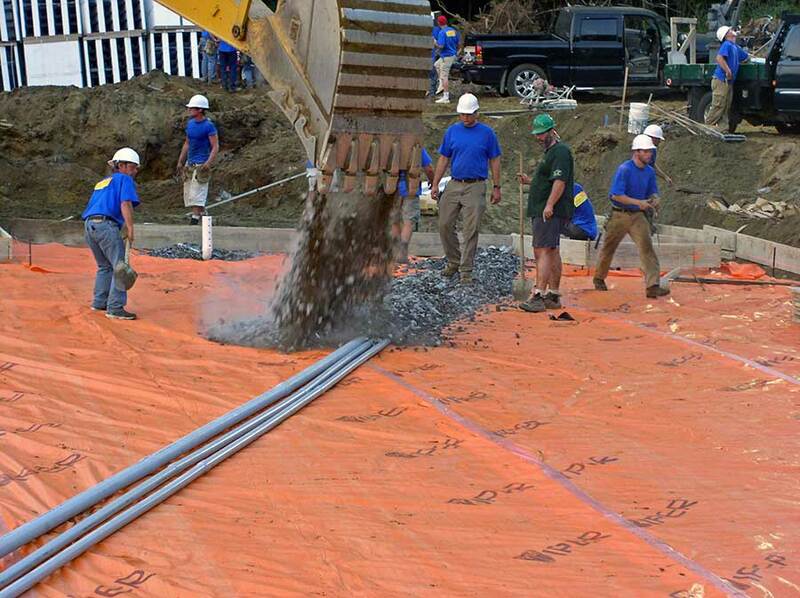 Membranes often need high tensile strength and puncture resistance to withstand sharp backfill, foot traffic, vehicles, and heavy equipment. Regardless of the term, it is the function of the material that needs to be evaluated, and that is to control the entry of water vapor into the building by vapor diffusion. ASTM, a global leader in the development and delivery of international voluntary consensus standards, has established three standards for underslab vapor retarders. Two are material specifications with specific criteria that the material has to meet; both applicable to new materials as well as materials that are conditioned or exposed to simulate service conditions. 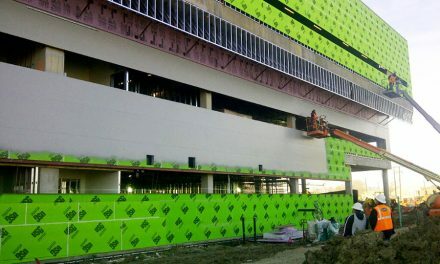 The third standard addresses the placement and installation of the vapor retarder. ASTM E-1993: Standard Specification for Bituminous Water Vapor Retarders Used in Contact with Soil or Granular Fill Under Concrete Slabs: This covers bituminous membrane water vapor retarders and specifies requirements for water vapor permeance, tensile strength, puncture resistance, and thickness. ASTM E-1745: Standard Specification for Plastic Water Vapor Retarders Used in Contact with Soil or Granular Fill Under Concrete Slabs: This covers plastic water vapor retarders and classifies the material into either Class A, B, and C based on water vapor permeance, tensile strength, and puncture resistance. It is important to note, though, that the difference between these classes is entirely based on its puncture resistance and tensile strength. The vapor permeance is consistent at 0.1 perms across all three classes. ASTM E-1643: Standard Practice for Selection, Design, Installation, and Inspection of Water Vapor Retarders Used in Contact with Earth or Granular Fill under Concrete Slabs. Key Points For Specifers When Comparing Materials: Are the test methods the same for the products? Request current independent testing for all criteria of ASTM E-1745 on the same sample. (A single independent accredited laboratory should do all of the tests or coordinate the testing to insure that the same material was used to test all of the properties.) Ensure that the current material is from the same source as the tested material Compare products on all of the critical factors (perms, puncture, tensile), not just vapor permeance. Are the products clearly labeled for onsite identification? As stated above, while ASTM E1745-11 call for a vapor retarder material to have a maximum permeance rating of 0.1 perms, the American Concrete Institute’s ACI 302.2R-06, Guide for Concrete Slabs that Receive Moisture Sensitive Flooring Materials has suggested using materials having less than 0.01 perms in situations where extremely sensitive flooring materials require protection lower than the requirements stated in ASTM E-1745. In theory, a lower perm rating equals better protection against moisture; however, a low perm rating alone does not make an effective vapor retarder. While the importance of permeance in vapor retarder/barrier performance cannot be ignored, there is increasing emphasis being placed on the material’s overall strength and puncture resistance. With good reason! During construction, these materials are exposed to foot traffic and other conditions that can lead to punctures and tears. The reality is, even small holes in the vapor retarder/barrier can result in significant increases in water-vapor emissions through concrete floor slabs, leading to potential floor covering failures, delays in floor covering installation, and a host of other costly problems. Multiple studies have been conducted to evaluate what happens when a vapor retarder/barrier is punctured or improperly installed. One such widely-referenced study by The Aberdeen Group determined that a 1/8-inch-diameter nail hole created an average moisture-emission rate of 1.3 pounds per 1,000 sq. ft. per 24 hours. This essentially renders the material equal to a vapor retarder with a .93 perm rating which is well outside recommended industry performance standards. The same study also showed that a single 5/8-inch-diameter stake hole caused the average moisture-emission rate to increase to 3 pounds per 1,000 sq. ft. per 24 hours. This represents the maximum moisture transfer rate allowed by the flooring industry’s specifications and the equivalent of a vapor retarder with a 2.2 perm rating. Many suppliers of vapor retarders/barriers publish test results attesting to the low perm ratings of their products. However, it appears simply having a low perm rating is not enough when it comes to real-life conditions. A specifier of vapor barriers and retarders has several different options available when selecting a material for a particular project. It is important for the specifier to understand the project requirements, as well as the performance criteria of the material and make the selection accordingly. A product with a high puncture resistance but less than adequate permeance is of no value, just as is a product with very low permeance that is more likely to get punctured during the installation. Even a few relatively small punctures that are not properly repaired, can remove any advantage that the low permeance material would have otherwise provided. A balance of low vapor permeance and high puncture resistance provides a vapor retarder/barrier that performs during installation and construction, as well as providing the long term protection required today. Vapor permeance, puncture resistance and tensile strength are all vital functions of a vapor retarder/barrier and a balance between these will enable a material to perform both during and after construction. It is important for the specifier to inquire whether both the permeance and puncture properties listed on a manufacturer’s data sheet have been independently tested by a laboratory accredited to perform the testing. 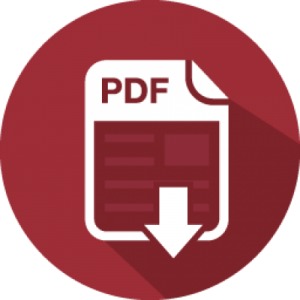 Additional Resources ACI 302.1R-04: Guide for Concrete Floor and Slab Construction. ACI 302-2R-06: Guide for Concrete Slabs that Receive Moisture-Sensitive Flooring Materials. ASTM E-1643-11: Standard Practice for Selection, Design, Installation, and Inspection of Water Vapor Retarders Used in Contact with Earth or Granular Fill under Concrete Slabs. ASTM E-1745-11: Standard for Vapor Retarders Used in Contact with Soil or Granular Fill under Concrete Slabs. ASTM E-1993-98 (2013): Standard Specification for Bituminous Water Vapor Retarders Used in Contact with Soil or Granular Fill Under Concrete Slabs. Concrete Construction, December 1998 – “Don’t puncture the vapor retarder” by Bruce A. Suprenant and Ward R. Malisch. Concrete Construction, July 2000 – “Examining Puncture Resistance” by Bruce A. Suprenant and Ward R. Malisch. 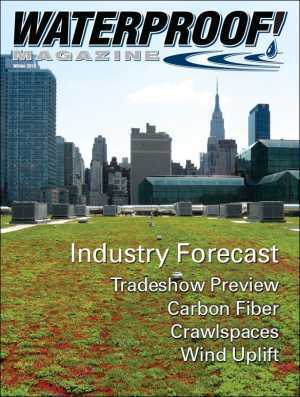 Concrete Construction, March 2005 – “Vapor barriers: nuisance or necessity?” by Peter Craig. Concrete Construction, January 2013 – “Keeping Moisture Out of Slabs” by William D. Palmer Jr.
Sheet drains, perforated pipe, and other products are used to create systems to collect moisture and route it away from the foundation without the risk of clogging. 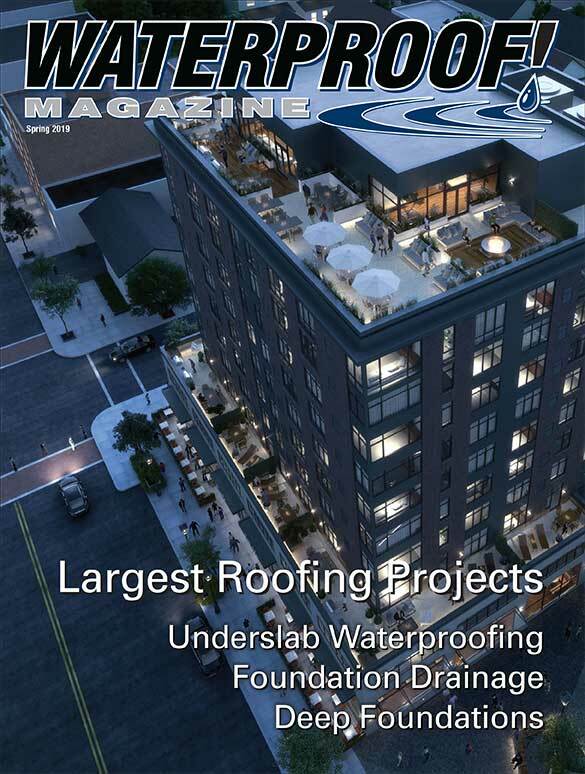 The largest roofs in the U.S. have been completed with a number of different materials, including single ply membranes, spray-on coatings, and even green roofs. In choosing an underslab moisture barrier, permeance is only one of the variables in the equation. The sheet’s tensile strength, puncture resistance, and other factors may be even more important. Sealing the deep foundation on this high rise apartment building near New York City presented a host of challenges. Integral crystalline waterproofing greatly simplified the job.